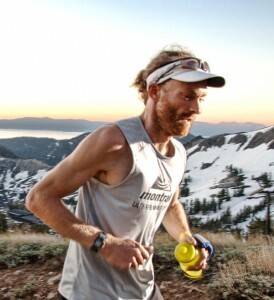 While we’ve taken a slightly biased tone on Ultra168 towards the non-US runners, it’s about time we gave some airtime to perhaps the leading 100 mile runner in the World right now, Geoff Roes. We do like to bang on about Kilian, however Geoff’s stats speak for themselves – he’s never lost a 100 mile race that he’s entered. That’s pretty special. What’s interesting about this video is the fact that Geoff talks about his training and how comparatively little he does, compared to some of the other guys, Kilian for one. Geoff runs between 60-120 miles a week, and as it seems, somewhat unstructured too. If he feels like running long, he will. He also does no speed work, well, compared to us it’s probably speed work, but who knows. He just sounds like a very chilled and relaxed kind of guy who’s totally in control of his head space and is comfortable with who he is too. Anyway, have a gander at the video on the Running Times website. It’s very well produced.